On November 19, 110 countries voted for a resolution at the United Nations General Assembly calling for a worldwide moratorium on executions as a step towards the abolition of the death penalty. The vote marked record support for the resolution compared to previous years. Among the countries supporting the resolution were the European Union nations, Australia, Brazil, South Africa and Israel. The United States, Japan, China, Iran, India, North Korea, Syria and Zimbabwe were among 39 countries opposing the non-binding resolution in the Assembly's Third Committee, which addresses human rights issues. Thirty-six countries abstained. Recently, France launched a campaign with other abolitionist states to get the full General Assembly to pass a resolution calling for a death penalty moratorium. Though such a resolution would also be non-binding, diplomats say it would increase moral pressure. Around the world, about 141 are abolitionist in law or in practice, while 57 countries retain the death penalty. On October 23, the United Nations' special rapporteur on torture, Juan Mendez, told a UN General Assembly human rights committee that countries around the world are increasingly viewing capital punishment as a form of torture because of the severe mental and physical pain it inflicts on those sentenced to death. Mendez told the committee, “States need to re-examine their procedures under international law because the ability of states to impose and carry out the death penalty is diminishing as these practices are increasingly viewed to constitute torture.” Mendez urged all countries to consider repealing capital punishment because it is “cumbersome and expensive and you’re never sure you’re doing it in the right way.” Mendez also spoke about the “death row phenomenon," that is, conditions on death row that cause severe mental anguish and physical suffering. He said such deprivations include anxiety due to the threat of imminent execution, extended solitary confinement, and poor prison conditions. On October 17, the Kentucky Commission on Human Rights, a state agency that enforces civil rights, unanimously passed a resolution in favor of ending the death penalty. The Commission urged the Kentucky General Assembly to repeal the death penalty and Governor Steven Beshear to sign any such legislation that is brought before him. The resolution underscored the unfairness of capital punishment: “[S]tatistics confirm that the imposition of the death penalty is disproportionately imposed on minorities and the poor." 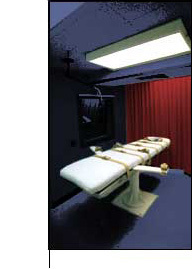 Moreover, the resolution pointed to the high error rate in Kentucky capital cases: "Since 1976, when Kentucky reinstated the death penalty, 50 of the 78 people sentenced to death have had their death sentence or conviction overturned, due to misconduct or serious errors that occurred during their trial. This represents an unacceptable error rate of more than 60 percent.” The resolution will be given to each legislator and to the governor.